Remove the rind of the cucumber with a fluted cookie cutter. Using a ¼ teaspoon, scoop a small amount of the cucumber flesh out of the middle of the cucumber forming a cup. Place the cup, upside down, on a piece of paper toweling to drain. 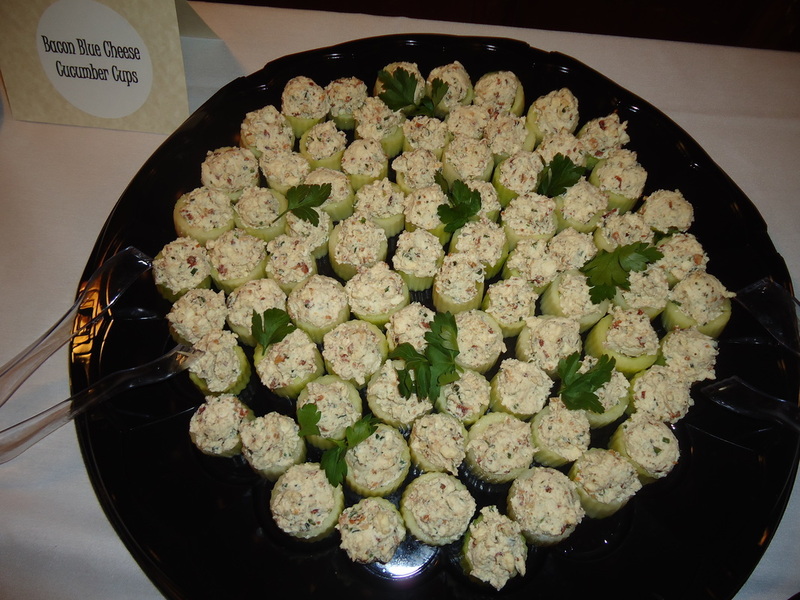 Return the cucumber cups to their original position and fill each one with the cream cheese mixture.